Mmmm, frozen summer treats from a local Ice Cream parlor. 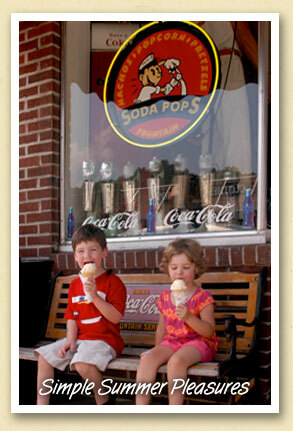 At Soda Pops, owner and chief soda jerk Paul Crawley still serves the same timeless favorites your grandparents enjoyed — chocolate malts, floats, sundaes, banana splits and sugar cones crowned with freshly-scooped ice cream — choices that are perfectly in keeping with the shop’s nostalgic decor. It’s the perfect ending to a day of fun in the Smokies.